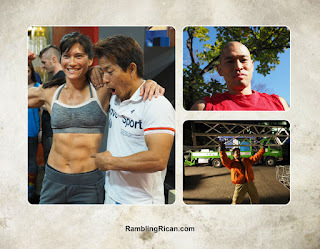 Rambling Rican: 2018 Rambling Rican Calendar is for sale! 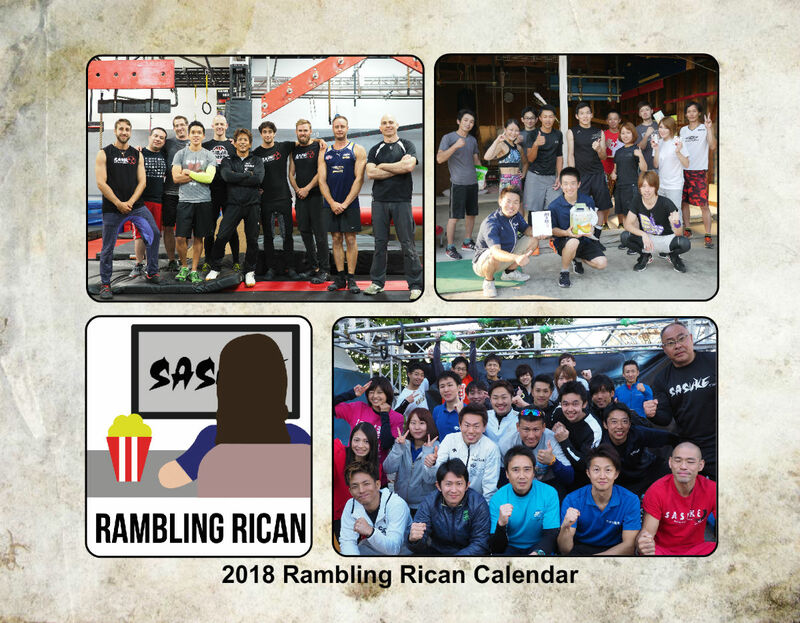 2018 Rambling Rican Calendar is for sale! I was surprised to be asked to do this again. I wasn't completely ready to do it this year given so much has happened but it doesn't cost me anything to create something that apparently many of you enjoy! ♥ Thank you! I'm really happy about that since I'm still friends with a lot of the Sasuke/Ninja Warrior community despite the political junk in the background. 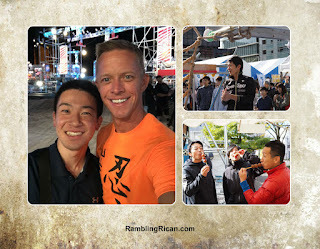 I'm also very thankful for Jin to have sent me photos of this year's activities along with fellow competitor's photo donations last minute! ♥ Maybe if more are interested in it I can continue yearly doing this for the community regardless of my lack of participation in day to day fandom. I still love and support those in the ninja community and they continue to fill my life with positivism and support. 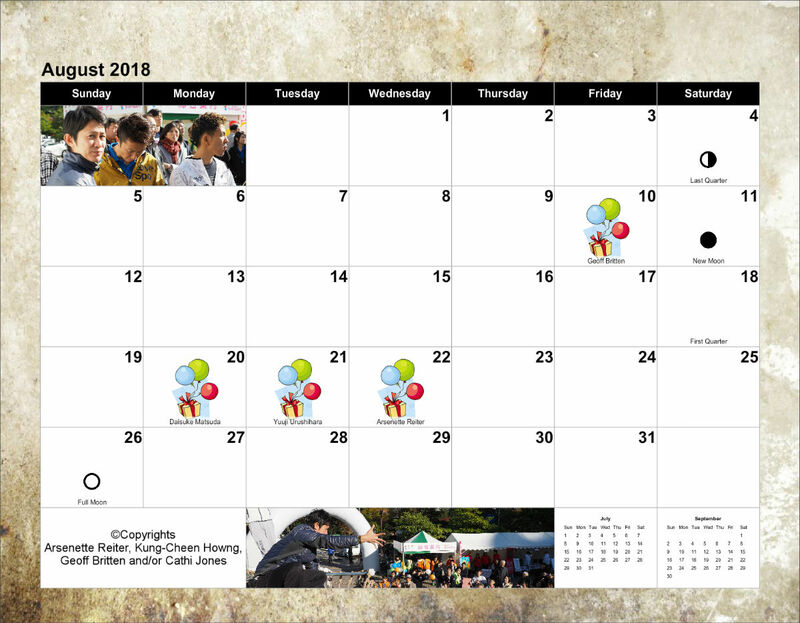 So, back by popular demand the latest calendar is now up on the website! Thanks for the support everyone has given me the past few years I've been doing this. I did one for 2015, 2016 and 2017. Just like last year any proceeds (and they are little since I don't sell many of these to warrant much attention) is for the completion of the Sasuke-themed book I've been working on forever. The publishing part is not that expensive, but hiring an professional editor is. Each time I've done a fundraiser I've broken even so I don't have a reserve for covering the costs of publishing the book. I've mentioned before the process of writing the book has been daunting. I've also never really raised much money doing these calendars since it's really made for fun with the community who supports my work. I kept most of the format like last year since those who bought the calendar seemed to like this format best. The majority of the photos came from Kung-Cheen Howng 洪 恭芹 (aka "Jin) with permission of those he took photos of, Geoff Britten sent a couple earlier this year and got permission to use for this project and the rest I took myself during my trip to Japan last year and my friend Dr. Cathi Jones who took pics of the same event (Sasuke 32). 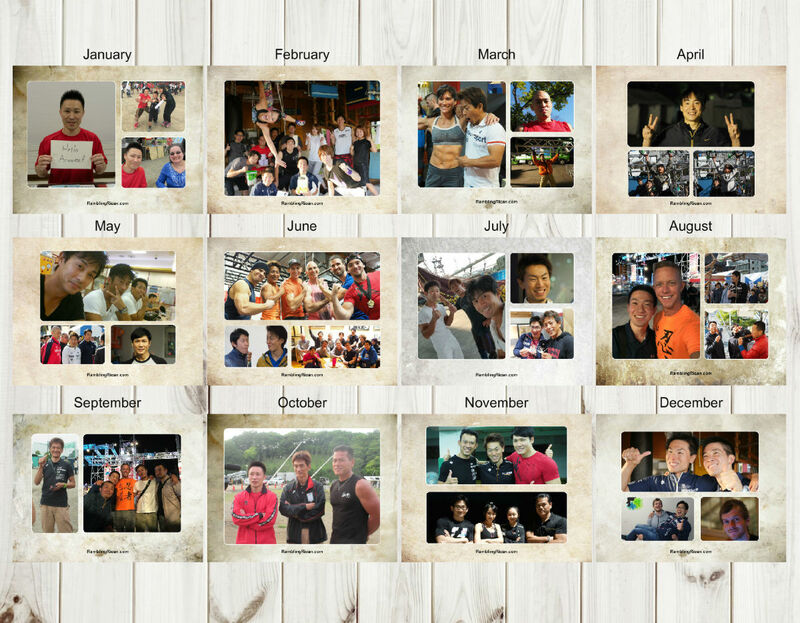 I wasn't expecting to do this calendar this year so I was limited in who I could get in this short period of time. Most are from get-together events that took place in Gunma, Saitama and Tokyo Prefectures along with the yearly Sendai PTA event that the city runs and photos from Taiwan. As usual thanks to Philip (from SMF) for designing my logo! I also added more birthdays of those who have competed in Sasuke this year to add to the normal array of Sasuke regulars (like the All-stars/Shin Sedai) to fill out the months. Full disclosure on the "fundraising part" I mentioned pertaining to these Calendars. I'm getting about $5-7 US dollars per calendar created. All of the prices are up on their website along with a description as to how this works. 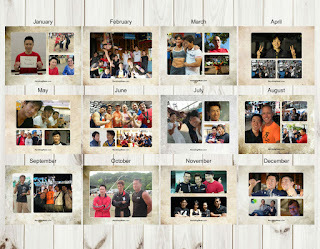 I'm very happy with the quality of the calendars and have used this website for 4 years running! At this point I highly recommend the calendars! These calendars are really good quality and sturdy! (VenusHeadTrap - Griffin Tremaine did a video on the calendars last year if you are interested in seeing what last year's looked like). 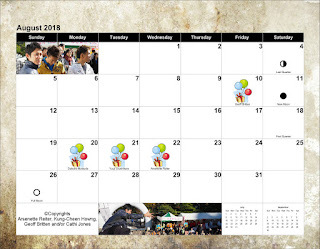 The calendars are only printed when someone orders them as opposed to other companies that require for a certain amount to be ordered up front. While they also had an option to do a fulfillment drive (like they do in local schools with the sign up sheet) I chose the other route available since the amount most people would get would be much smaller. The company will be doing the fulfillment so I don't have to be the middle person. I won't know who orders what from as the website since they take care of that privately between the buyer and them. So far I've had zero issues other than creative issues on my own. I appreciated they had no set up fees (some websites can cost 100-200 bucks just to set up) and again, my experience from the past few years was quite positive. On your first order just type in Referral Code: E9VWYS for $10 off your first purchase (one coupon per account)! The way it works is that you put in your profile "Where you referred" and that is where you place your referral code (E9VWYS). I do believe it goes to making your own content on the site rather than a coupon per se. It's a bit convoluted but you will end up getting a $10 credit on your account when the option becomes available. I also noticed that they added a lot of other things like like photo books, cards, and even T'shirts, etc.) if people are interested in buying some sort of merchandise that will help me as well. It doesn't cost me anything to set it up and it would help me tremendously if you buy stuff from the store. So if you want to contribute to the kitty and get the 2018 (it comes in 2 sizes apparently although I formatted it for the smaller one) you can buy it directly on CreatePhotoCalendar's website! The website accepts Visa, Master Card, Checks, Money Orders, and even PayPal. Writer's block, reading comments and Story time!